Installation is never complete without key core components which include Video & IP routing systems & terminal gear, as this essentially forms the core of any install. 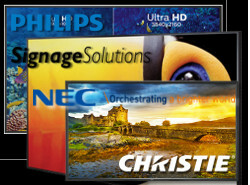 Vidcom works with the best brands in the industry which provide solid warranty and advance replacement programs. VidCom sells and supports a complete range of infrastructure gear which includes but is not limited to Racks, Sound Proof Racks, Cables, Connectors, Un-Interrupted Power Supplies, Distribution Amplifiers and different kinds of converters. We carry the entire range of equipment for any install, weather it is for a mobile or a facility install.